With the migration of governments and enterprises towards controller-based architectures, the role of a core network engineer has become more important than ever. Today, majority of interconnected wide area networks (WANs) and local area networks (LANs) in the world run on Cisco routers and other Cisco networking equipments, and therefore most organizations need network engineers to maintain and program these networks. So, if you are looking forward to making career advancement in networking, then Cisco's CCNA and CCNP certifications are one of the most highly reputed entry-level networking certifications in the industry. While CCNA, or Cisco Certified Network Associate, is for entry-level network engineers to maximize their foundational networking knowledge, CCNP or Cisco Certified Network Professional is intended for professionals to implement, maintain and plan Cisco's wide range of high-end network solution products. But how long have you wanted to take CCNA and CCNP training classes to achieve the certifications, only to realize the cost is just too high? Not anymore, because this week's THN Deal Store brings you lifetime access to the Ultimate Cisco Certification Super Bundle, which offers nine comprehensive courses, all for just $49. This nine-part bundle covers everything you need for passing Cisco's CCNA certification exams—from interconnecting Cisco networking devices to implementing Cisco IP routing. Each part of the above training is a standalone course specifically designed to help you pass each one of Cisco's exams. The training will teach you how to manage and optimize network systems, focus on network infrastructure, including routing, switching, wireless access, security, and connectivity to branch offices using WAN. 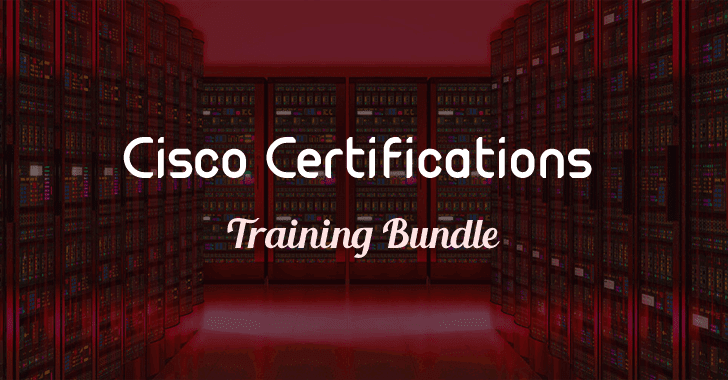 This Ultimate Cisco Certification Super Bundle will also help you develop skills required to work on advanced security, voice, wireless, and video solutions, as well as prepare you enough to earn your CCNA and CCNP certifications. So, what you are waiting for? Just sign in and grab the deal before it’s too late.